The Web Marketing Association will be naming Best of Show winners and the Top Agency as part of its 2019 WebAward Competition. A “Best of Industry” WebAward will be given in each of the 96 industry categories, including financial services, medical, small business, travel, advertising, transportation and government. The competition’s highest honor, the 2019 WebAward “Best of Show,” will be given to the one site that the judges believe represents the pinnacle of outstanding achievement in Web development. The Web Marketing Association will also recognize the interactive agency winning the most awards in the competition with the “Top Interactive Agency” WebAward. 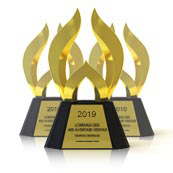 Make sure your company will be considered by entering the 23rd annual international WebAwards before the deadline of May 31, 2019. Since 1997, the Web Marketing Association has worked to help define what it means to be the best website in a wide variety of industries. Its 23rd annual international WebAward competition will evaluate 96 different industries and name a lucky few of Best of Industry WebAward winner. 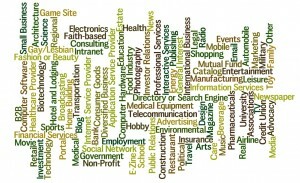 Here is a list of “award-winning” industries covered by the 2019 WebAward Competition for Website Development. 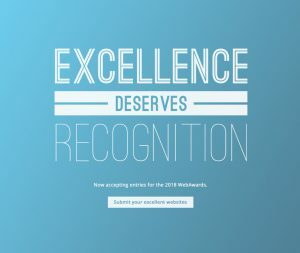 Excellence deserves recognition and the Web Marketing Association is looking for experienced Internet professionals who can help judge the Websites that are entered into its 23rd annual international WebAward competition, the standards-defining award program that sets industry benchmarks based on the seven criteria of a successful Web site. Interested individuals can submit their names for consideration using the WebAward Judges Nomination Form. The 2019 WebAward Competition for Website development is currently accepting entries until May 31, 2019. Judging will begin in mid-June and run through early August. Judges will consist of a select group of Internet professionals who have direct experience designing and managing Web sites,–including members of the media, interactive creative directors, site designers, content providers and webmasters – with an in-depth understanding of the current state-of-the-art in Web site development and technology. Past judges have included top executives from leading organizations such as Universal McCann, SapientNitro, T Rowe Price, Bridge Worldwide, Disney, Euro RSCG, Boeing, Huge, ING Direct, VML, Facebook, J. Walter Thompson, Gartner, Possible Worldwide, YUM!, Cuker Interactive, PayPal, Razorfish, Munich Re, Refinery, Ernst & Young, Magellan Health Service, Microsoft, R/GA, Family Cookbook Project, Saatchi & Saatchi, SAP, Starwood Hotel, and Website Magazine. If you or someone some one in your organization would make a good judge, they can learn more and enter their name for consideration on the WebAward Judges Nomination Form. “The vast majority of our judges return each year to participate again as a WebAward judge, but some need to take time off from judging and because of the popularity of the WebAwards there is a constant need for new judges”, said Rice. “Prior to the beginning of the judging, we spend several weeks discussing the current state of Web development and how it should be recognized through the WebAwards. 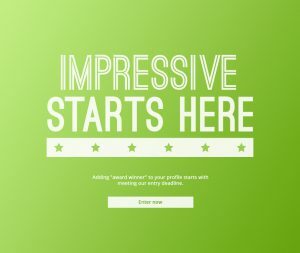 Being a WebAward judge is a valuable experience that helps the individual better understand overall Web development and of course looks impressive on a resume or corporate bio”. The Web Marketing Association is pleased to announce the call for entries for its 23rd annual international WebAward competition. The WebAwards are the standards-defining competition that sets industry benchmarks based on the seven criteria of a successful Web site. It recognizes the individual and team achievements of Web professionals in 96 industries all over the world who create and maintain outstanding Web sites. The deadline for entry for the 2019 WebAwards is May 31, 2019. A complete list of past winners and this year’s entry form can be found at www.webaward.org. Websites are judged on seven criteria, including design, innovation, content, technology, interactivity, copy writing and ease of use and receive a numeric score. Each WebAward entry is judged against other entries in its industry category and then against an overall standard of excellence. Entrants also benefit from receiving valuable feedback from the WebAwards professional judging panel on their Web site development efforts. The competition’s highest honor, the 2019 WebAward “Best of Show,” will be given to the one site that the judges believe represents the pinnacle of outstanding achievement in Web development. Last year’s Best of Show winner was is presented to Chris Curd Design Ltd for their outstanding work on Where Wise Men Fish. The site was also recognized as Best Sports Website. The Web Marketing Association will also recognize the interactive agency winning the most awards in the competition with the “Top Interactive Agency” WebAward. TopSpot Internet Marketing was named Top Agency at the 2018 WebAward Competition, , taking home 7 WebAwards last year. The Top Agency Award is given to recognize the consistently outstanding development going on at interactive firms. The WebAward Top Agency award recognizes consistency of effort and is given to the interactive agency that wins the most WebAwards in a given year. All locations and offices of a specific agency will be consolidated for the purpose of determining the winner of this award. Each entrant will be awarded points based on the level of award for each award received. A Best of Show will be worth 10 points, Best of Industry 5 points and each Outstanding award 3 points and a Standard of Excellence 1 point. The agency with the most points will be awarded the Top Agency Award for 2019. Each year, many agencies and some corporations win multiple awards and deserve additional recognition. This year, we will recognize each organization that wins 6 or more WebAwards with an Outstanding Interactive Developer trophy. In 2018, there were 13 agencies recognized with this prestigious award. Interactive and advertising agencies that win a 2019 WebAward will automatically be included in the Award Winning Agency Database with a free premium listing. Judging for the 2019 WebAwards will take place in June through August and winners will be announced in September. Judges will consist of a select group of Internet professionals who have direct experience designing and managing Web sites,–including members of the media, interactive creative directors, site designers, content providers and webmasters – with an in-depth understanding of the current state-of-the-art in Web site development and technology. Past judges have included top executives from leading organizations such as Universal McCann, SapientNitro, T Rowe Price, Bridge Worldwide, Disney, Euro RSCG, Boeing, Huge, ING Direct, VML, Facebook, J. Walter Thompson, Gartner, Possible Worldwide, YUM!, Cuker Interactive, PayPal, Razorfish, Munich Re, Refinery, Ernst & Young, Magellan Health Service, Microsoft, R/GA, Family Cookbook Project, Saatchi & Saatchi, SAP, Starwood Hotel, and Website Magazine. Check out our Web Marketing Association Facebook Page and be sure to like us as we will be providing hints and tips on how to improve your chances on winning a top award though out the award program entry period. The 2019 WebAwards are sponsored by the following leading organizations: EContent Magazine, iContact, PR.com, and Webmaster Radio. The Web Marketing Association thanks these companies for their commitment to the entire online marketing community. To enter the 23rd annual WebAward Competition for Website Development, please visit our website and create a nominator account. The 22nd annual international WebAward Competition for Website development has closed its call for entries and has not entered the judging phase of the program. We’d like to take a moment and thank our esteemed panel of expert judges who are determining the best websites in 96 industries. See who these are on the WebAward Website. The final deadline to enter the 22nd annual WebAwards is today! Entries added and/or edited until the end of day when the nominator portal at www.WebAward.org will be closed and the judging phase will begin. The deadline to enter the 2018 WebAwards has been extended until June 15, 2018. Entries added and/or edited until that date when the nominator portal will be closed and the judging phase will begin. All entries submitted after the original deadline will be subject to a late fee as stated in the competition’s guidelines. Today is the deadline to enter the 22nd annual WebAwards. Entries will be accepted until Midnight (Eastern Standard Time). The WebAwards are the standards-defining competition that sets industry benchmarks based on the seven criteria of a successful Web site. It recognizes the individual and team achievements of Web professionals all over the world who create and maintain outstanding Web sites. If you have been waiting to enter, now is the time to get it done. Enter today, be wishing you did tomorrow! The deadline for entering the 22nd annual WebAwards is May 29st – only one week away! So now is time to get your entries submitted for one of the top award programs dedicated to website development in the world. The WebAwards are the standards-defining competition that sets industry benchmarks based on the seven criteria of a successful Web site. It recognizes the individual and team achievements of Web professionals all over the world who create and maintain outstanding Web sites. Don’t wait until the last minute, enter today! The deadline for entering the 22nd annual WebAward Competition is May 31st – one month from today. So now is time to get your entries submitted for one of the top award programs dedicated to website development in the world. The WebAwards are the standards-defining competition that sets industry benchmarks based on the seven criteria of a successful Web site. It recognizes the individual and team achievements of Web professionals all over the world who create and maintain outstanding Web sites.